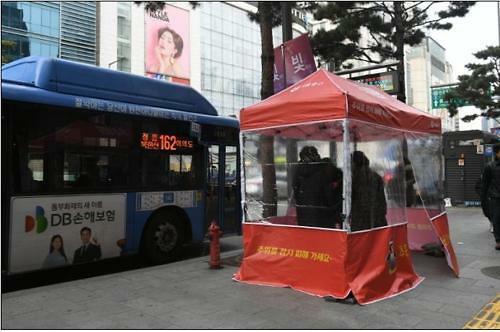 SEOUL, Jan. 11 (Aju News) -- Because of a biting cold wave that has hit the Korean peninsula for weeks, makeshift road-side shelters made of polycarbonate sheets have become popular among Seoulites and commuters waiting for city buses. 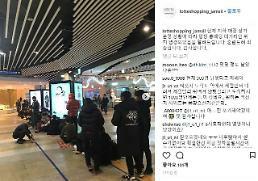 The makeshift shelters were first brought out to the streets in Seoul's southern district of Seocho on December 20. As of Wednesday, about 160,000 citizens have used 30 shelters placed near bus stops and two near crosswalks. 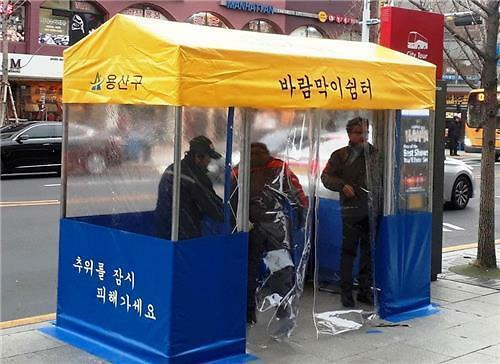 The shelters are cube-like tents with flap doors which can house 12 people at a time. 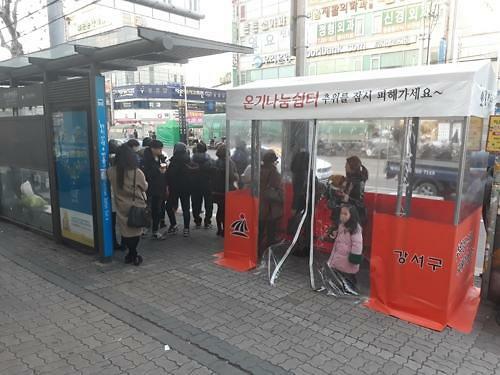 Because of their surging popularity, the Seocho district plans to place 20 additional shelters soon. 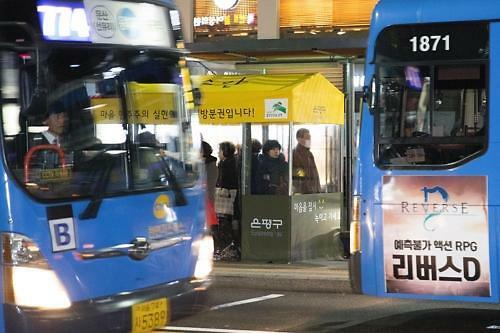 Seocho district officials hope to recycle them next year, citing affordable prices and easy installation. 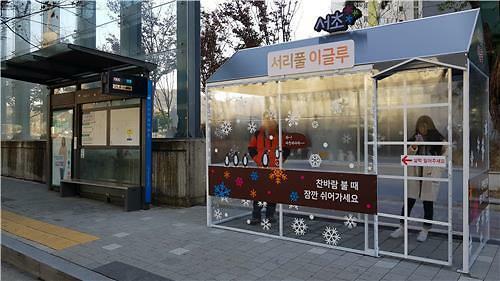 Several other districts in Seoul followed suit, setting up similar shelters at bus stops and pedestrian crossings.